1 point = 10 yen = 10 US cents. In order to buy points, you need to log in. 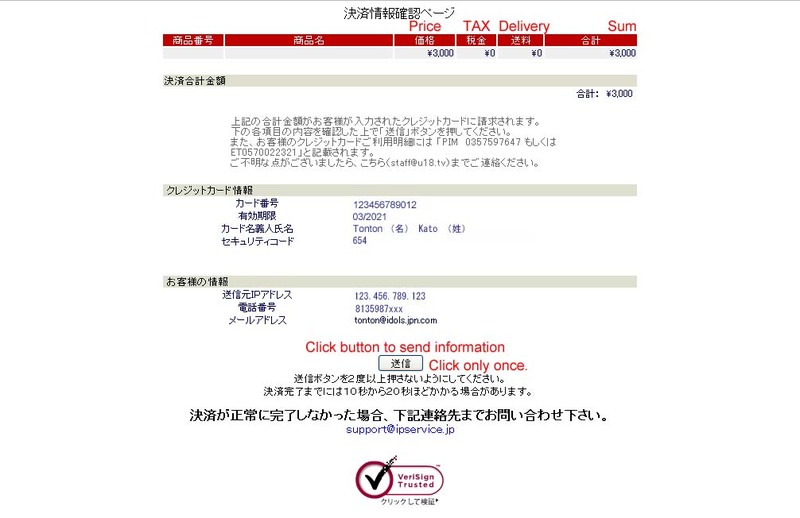 Click the button, 「ポイント購入（クレジットカード決済）（Buy points with credit card）」, for the purchase with a credit card. In the following page, you choose how many points you buy. I chose 300 points paying 3000 yen. Then the card information page appears. 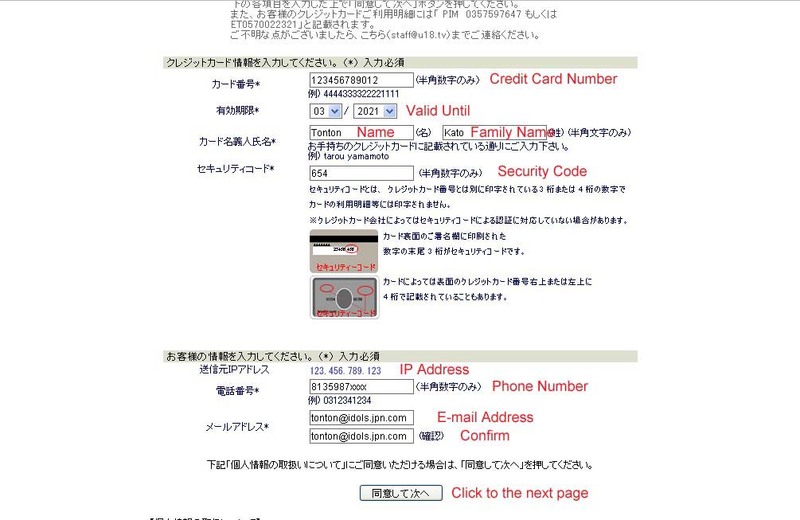 For the telephone number, I added the country code (81: Japan). Click the button after you confirm the information shown. 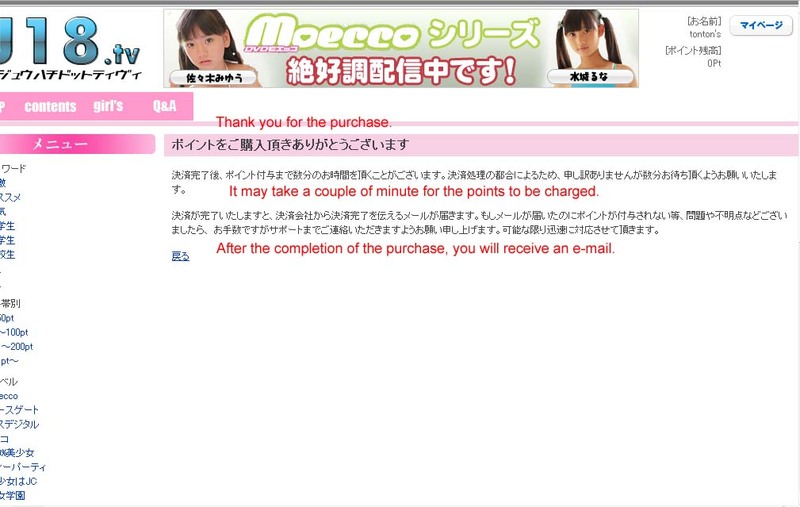 After the purchase is completed, you will see the following page. Check your e-mail. A confirmation mail arrives to you as follows. You are now ready to download video files!